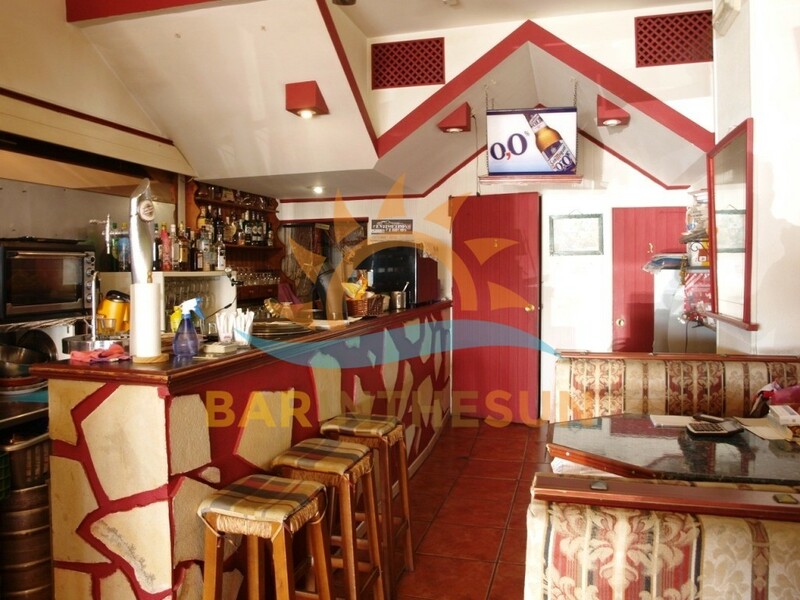 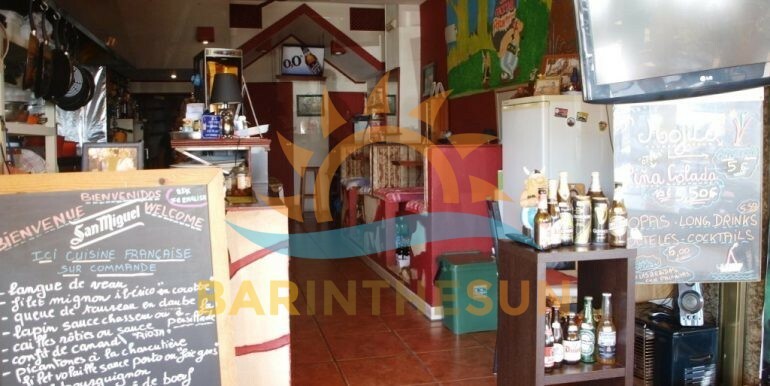 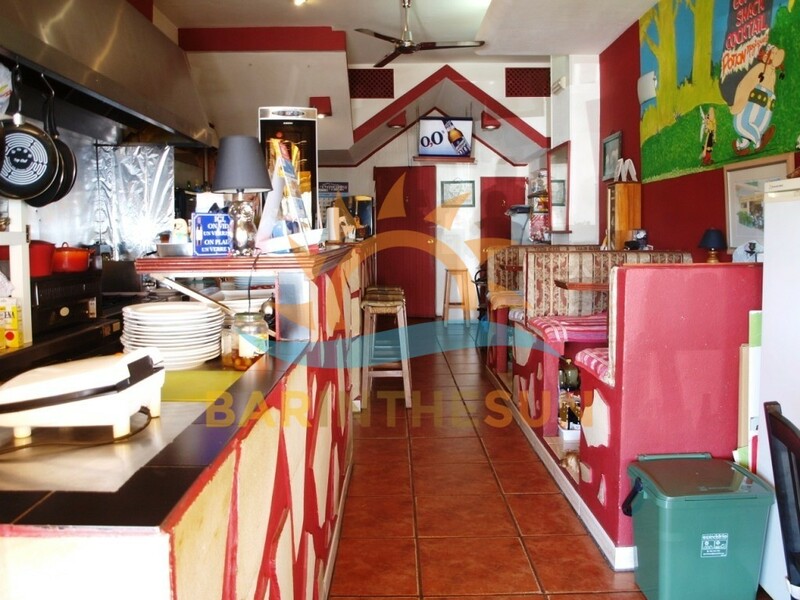 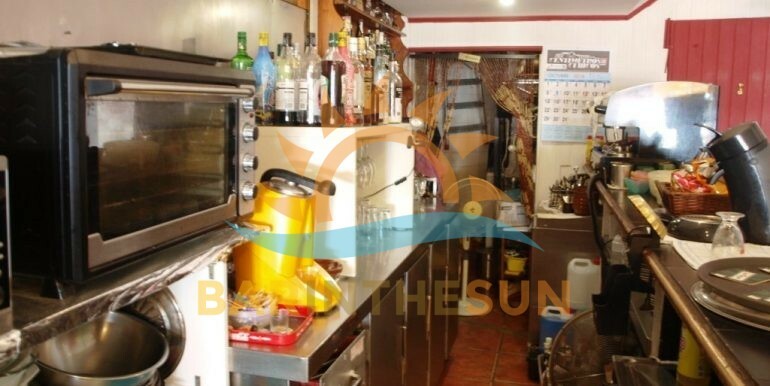 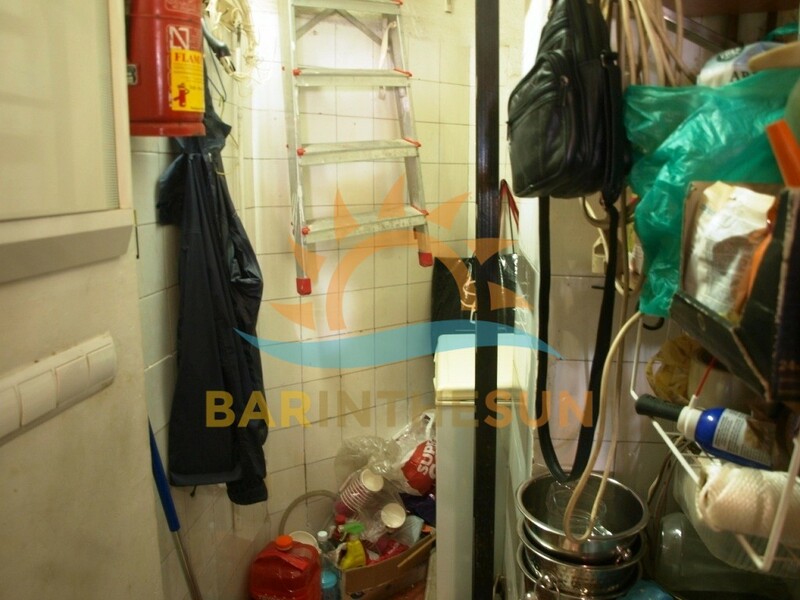 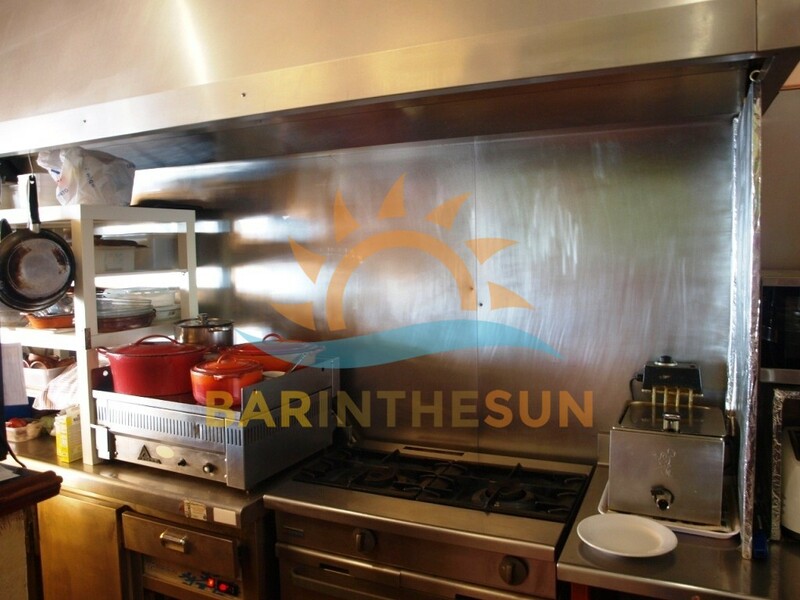 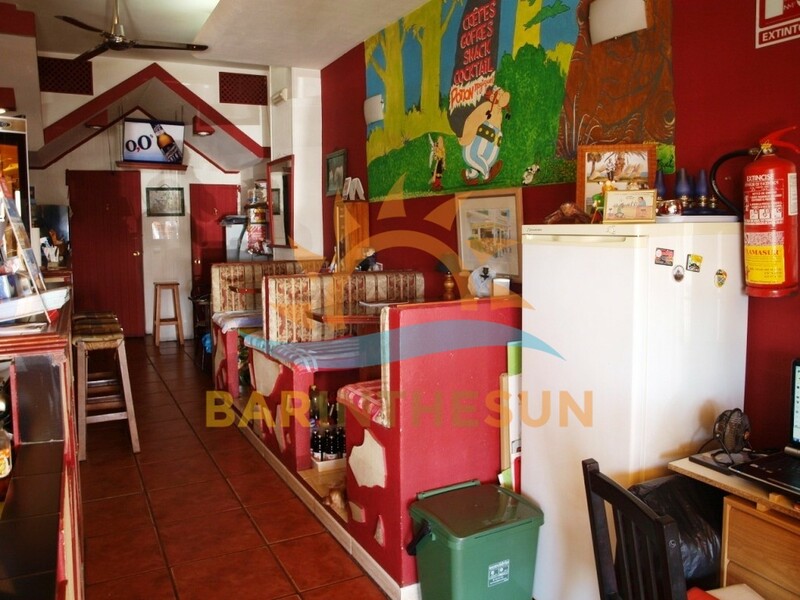 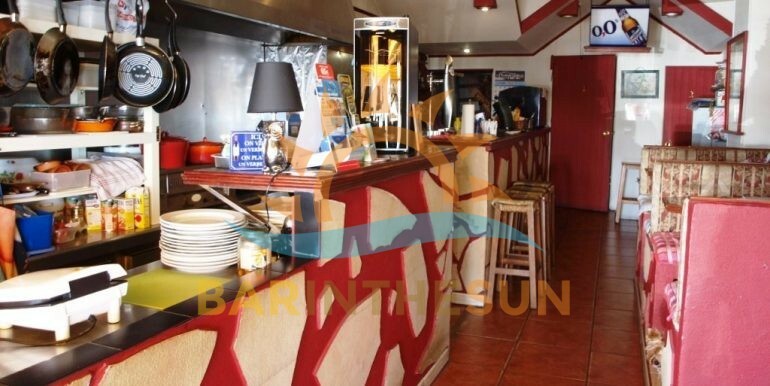 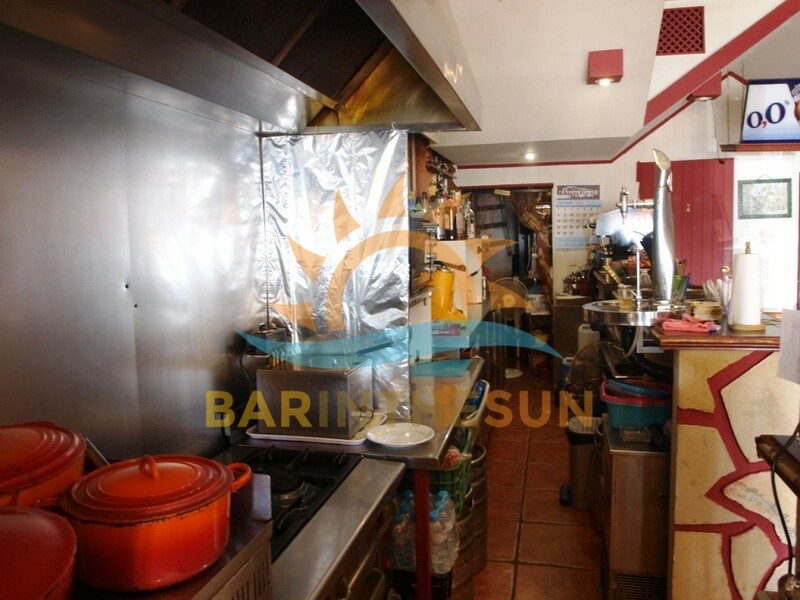 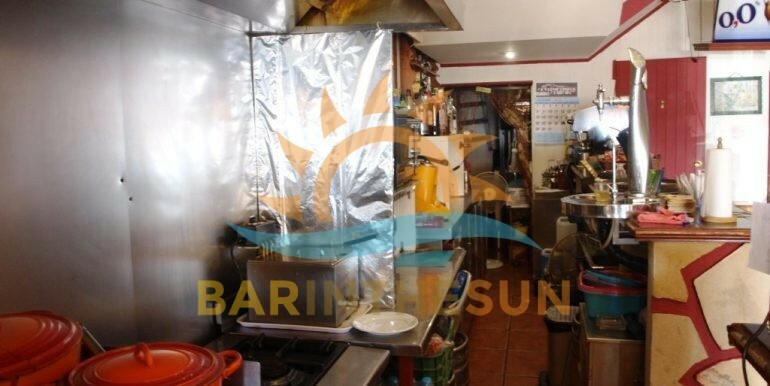 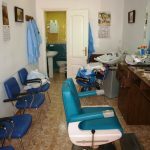 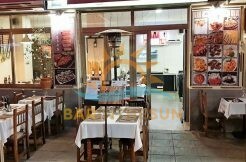 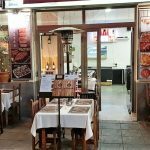 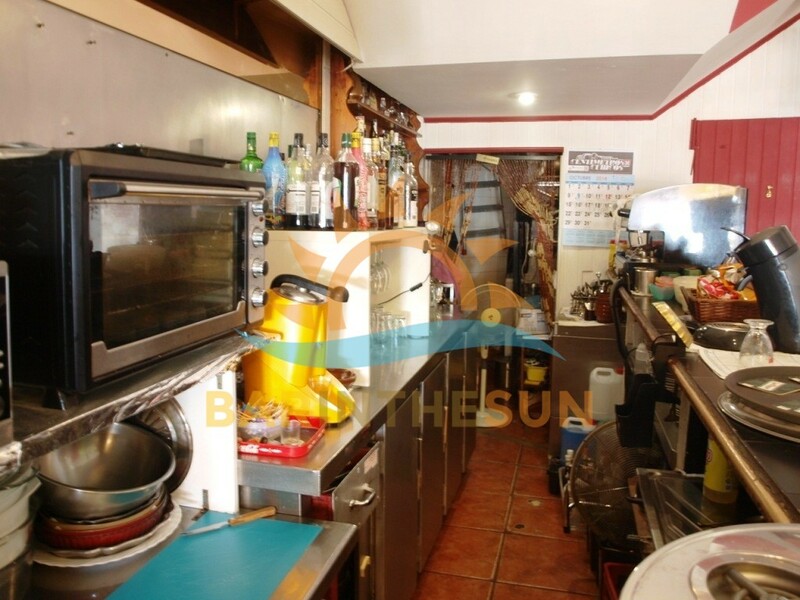 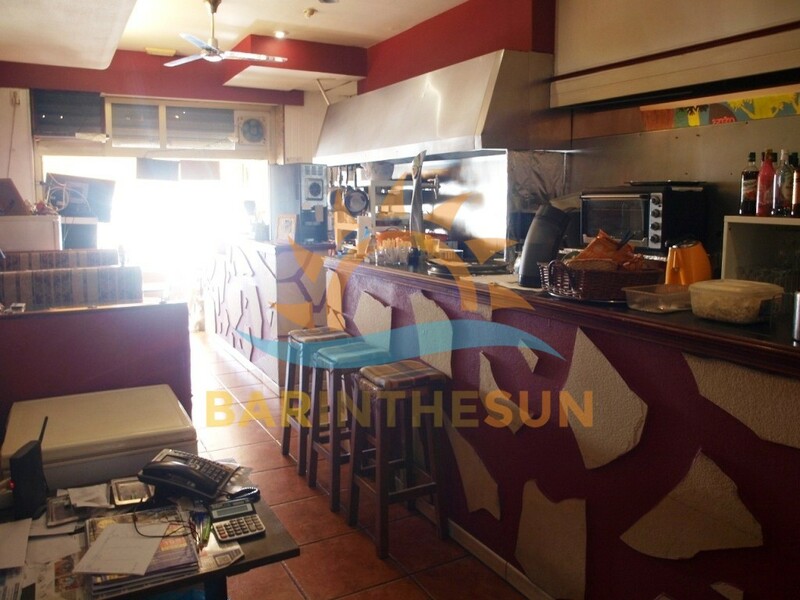 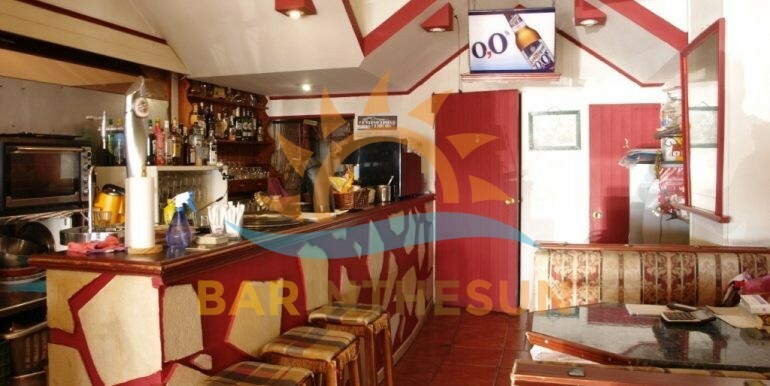 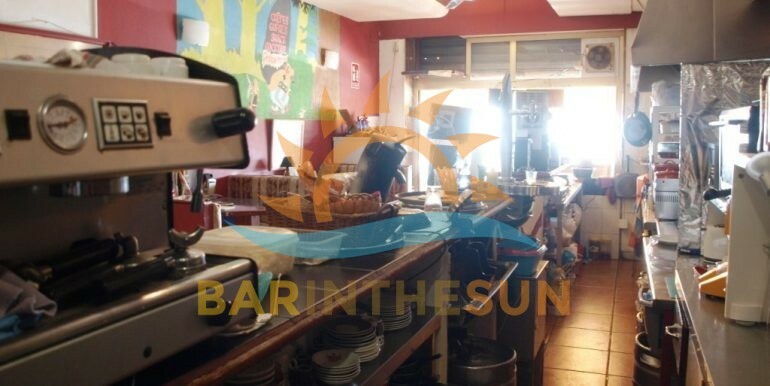 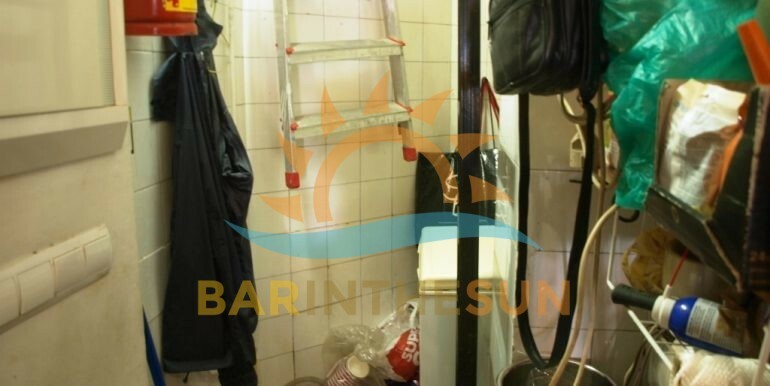 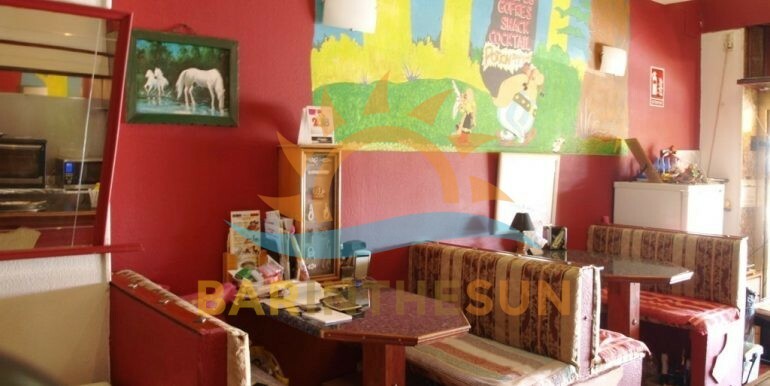 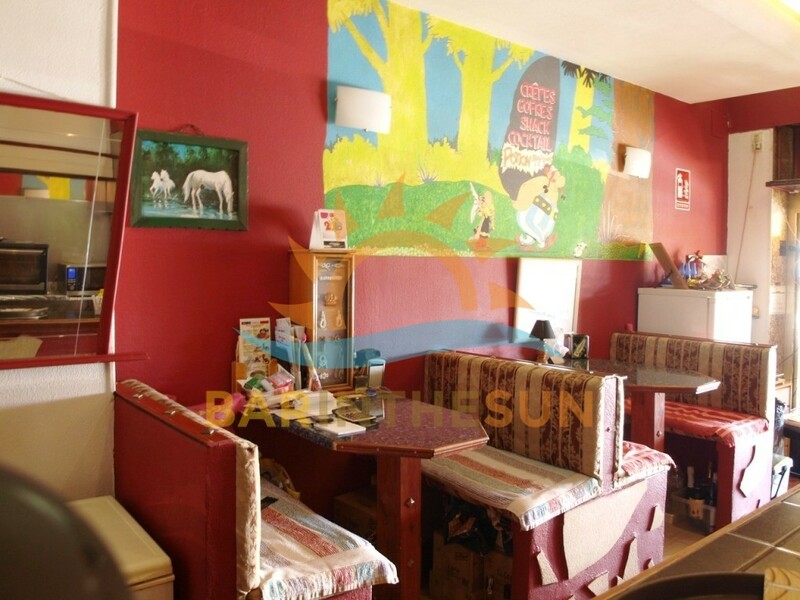 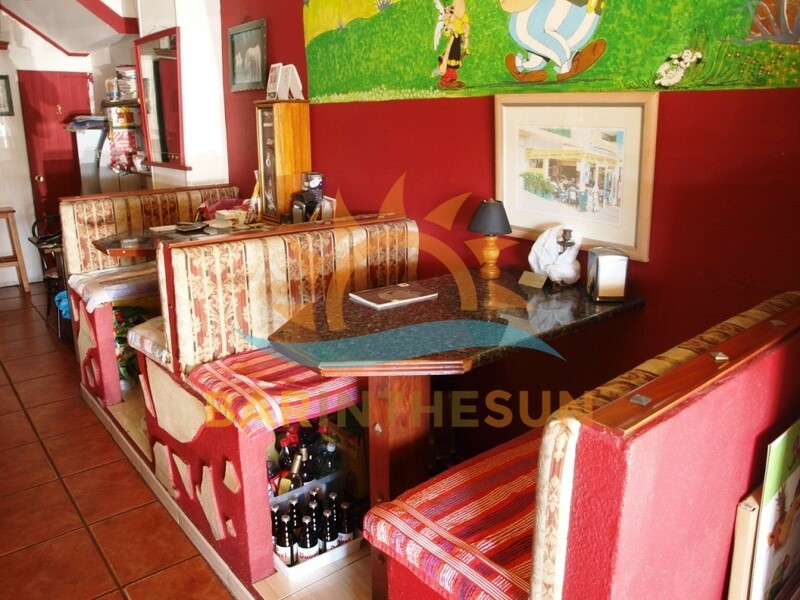 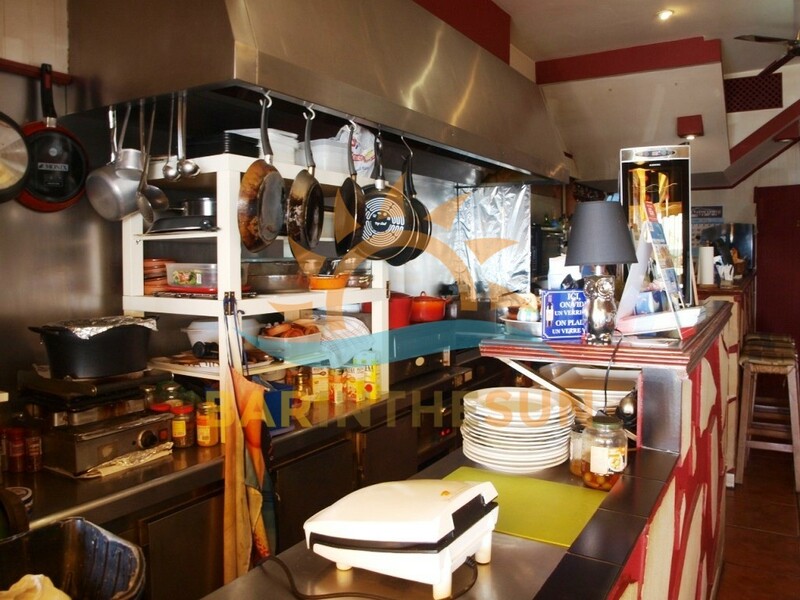 Café bar for lease in Fuengirola, Malaga, on the Costa del Sol in Spain. 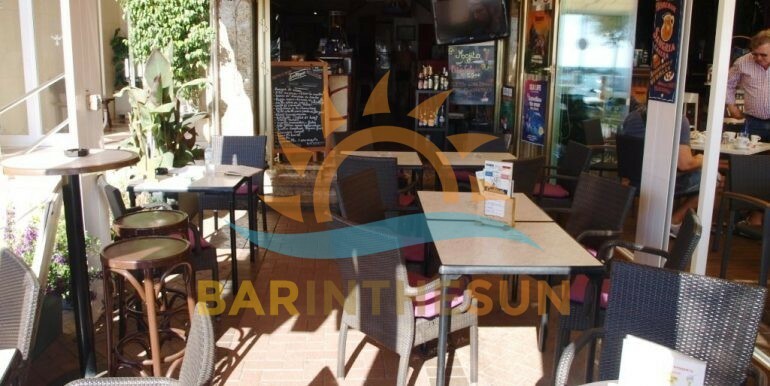 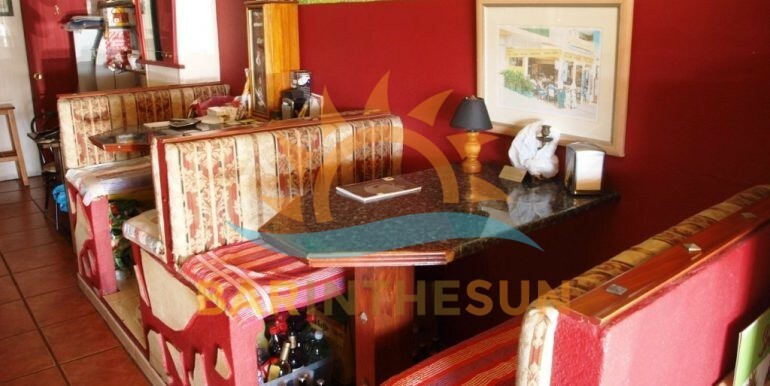 This prime located sea front Fuengirola café bar has only just become available. 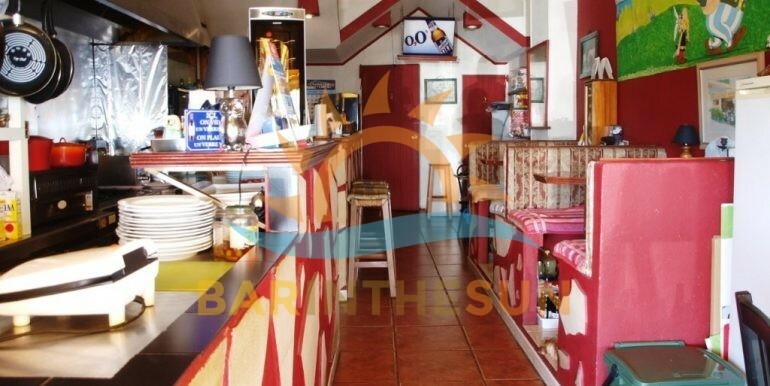 Trade enjoyed by this long established sea front café bar is a varied mix of locals, ex pats, multi national residents and the year round tourist sector, this café bar had been run by the same owners for over twelve years and enjoys brisk trade not just through the busy summer season but also continues doing brisk trade during the shorter winter season. 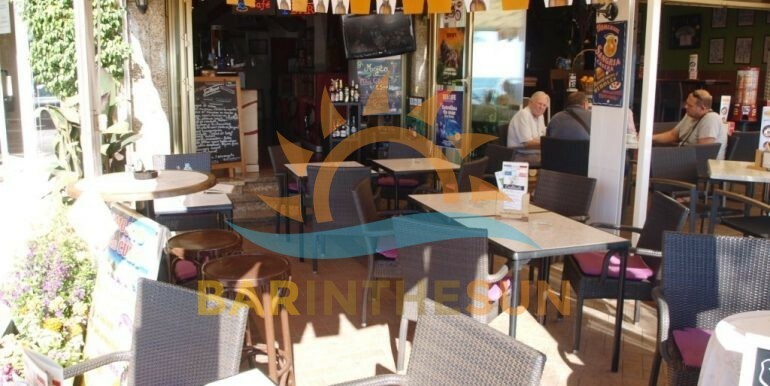 Within a short walking distance of this sea front café bar for sale are various hotels, holiday apartments and residential homes and of course with being on the sea front the beach is directly across from the bar. 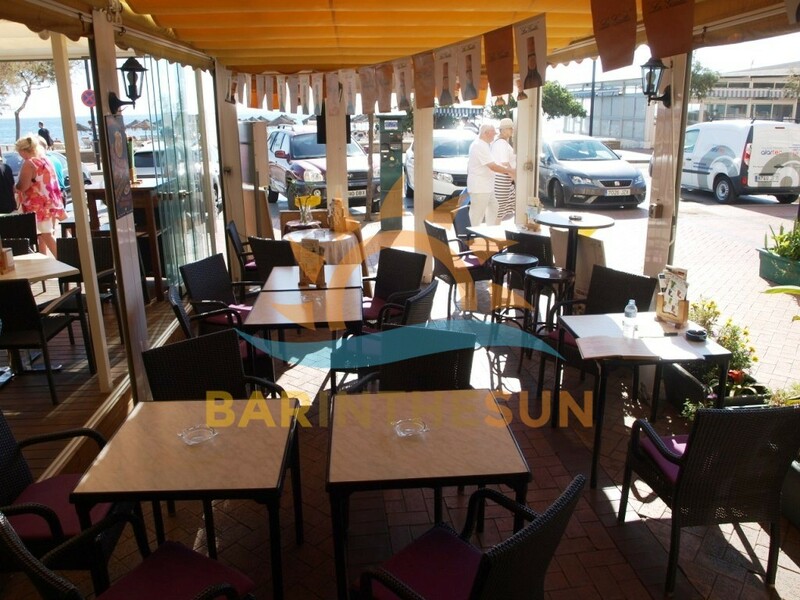 The interior of this recently sea front café bar is approximately 50 m2 with seating for around 15 comfortably. 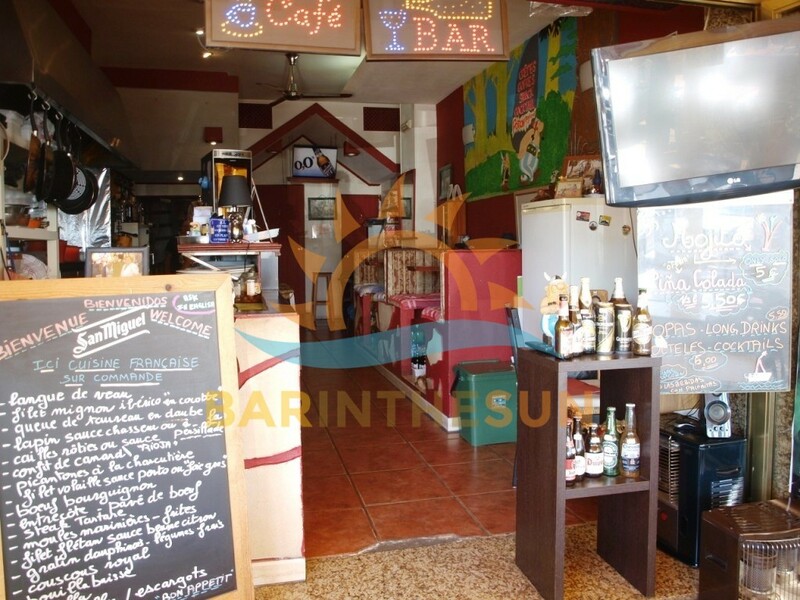 On entering this café there is a nice size easily managed serving bar with ample shelving on the rear gantry to display a good selection of wines, spirits and beverages. 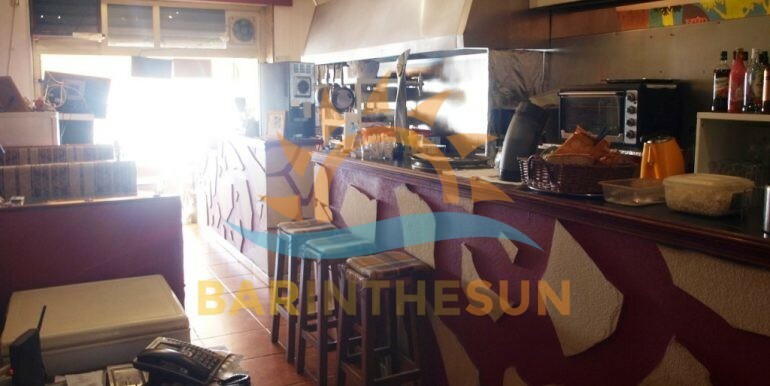 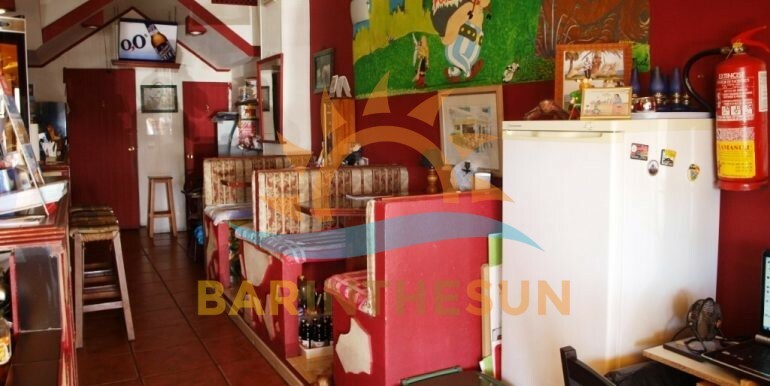 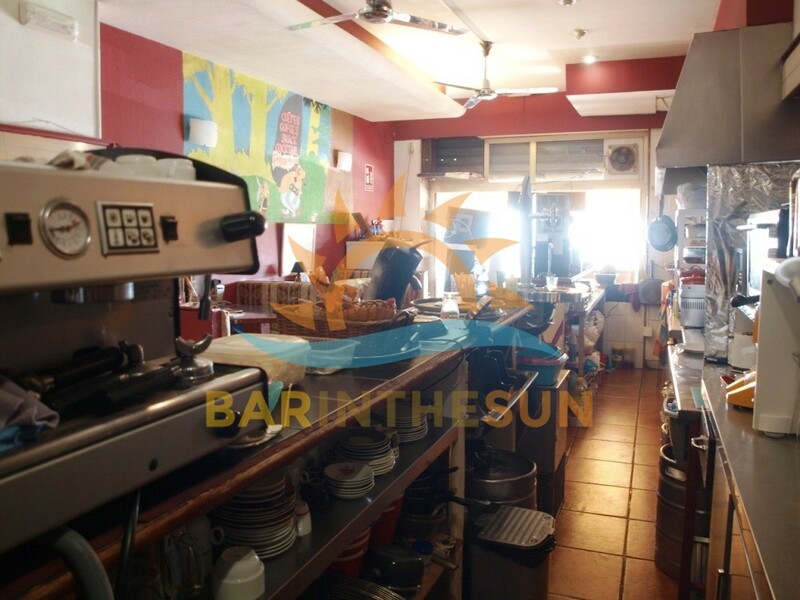 This long established sea front café bar is being offered fully furnished and equipped and as a turnkey business opportunity. 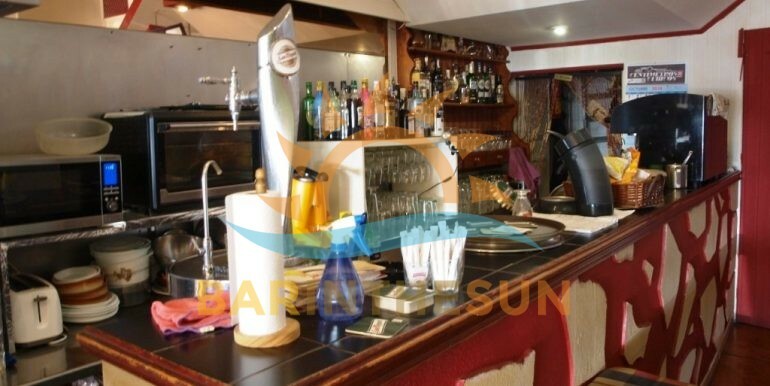 This latest business is perfect for any of our clients on the lookout for a café bar with prime location being at the top of their criteria. 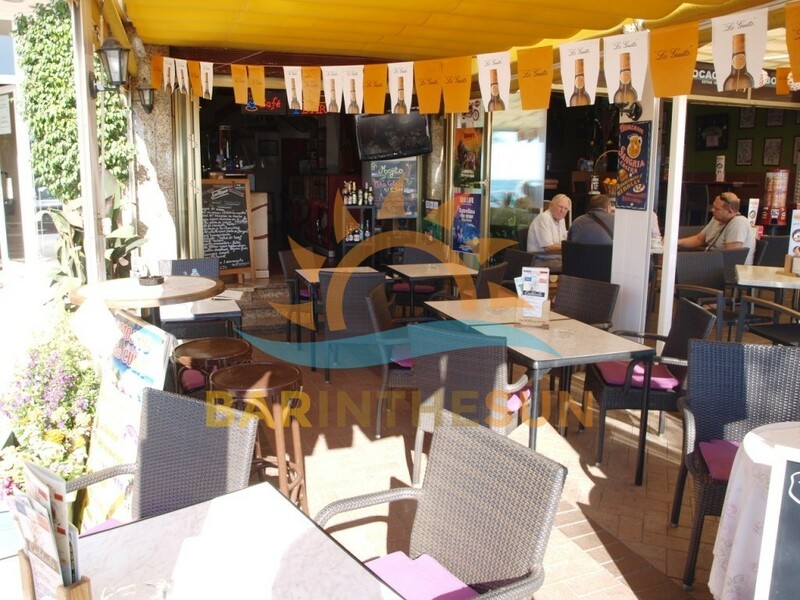 Please browse through the varied selection of pictures we have included to help gain insight of the style and layout of the venue. 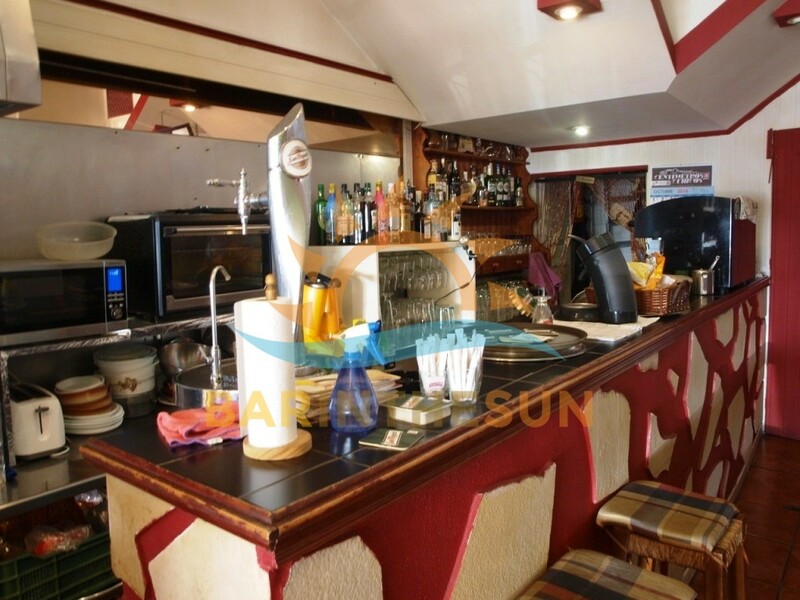 If interested in this sea front café bar please contact us to confirm availability and to arrange a personal inspection of the business. 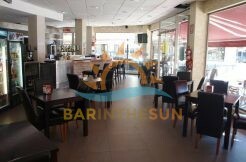 The kitchen area of this sea front café bar is open plan by design and is located directly behind the main serving bar. 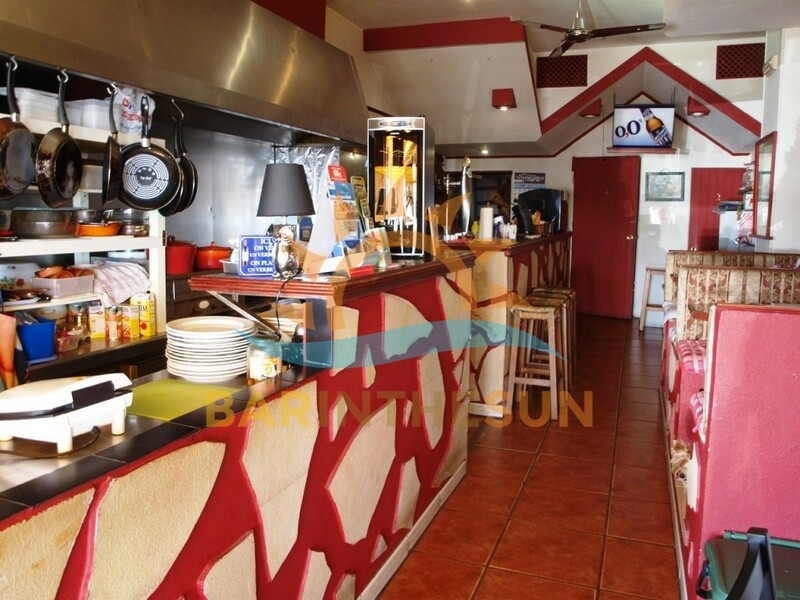 The kitchen is like the main bar area equipped and furnished to easily cater for the typical style café bar menu. 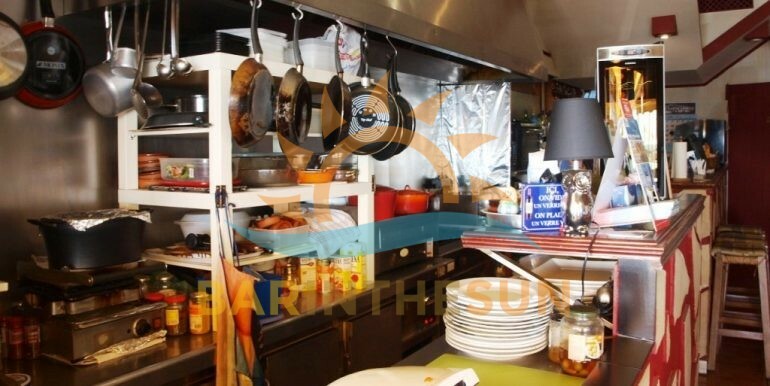 Importantly this kitchen facility does comply with the latest licensing laws and regulations required by premises that cater with food to the public sector. 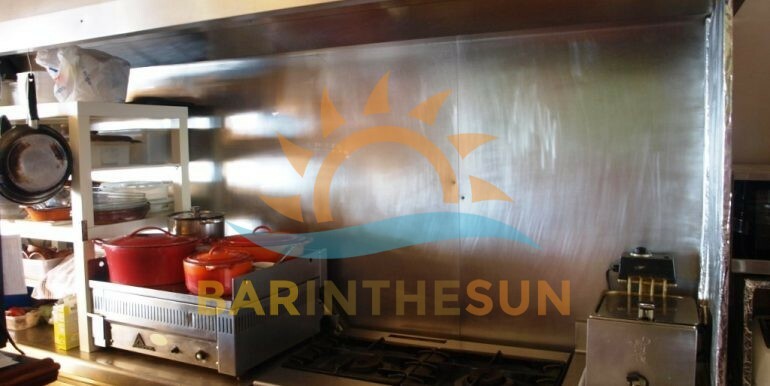 The present owners prefer to keep the catering side of the business to snacks and quick turnaround meals, this area of the business is very much a personal decision on what to offer clientele but can easily be changed and adapted to suit new owners preferences. 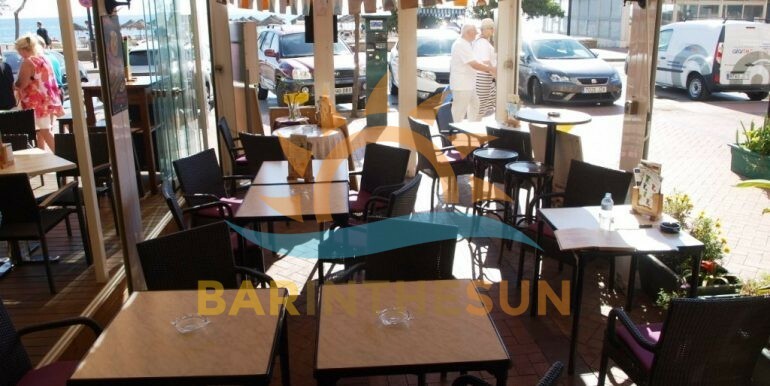 The busy prime located sea front terrace area of this easily managed café bar is approximately 25 m2 and can easily seat around 24 comfortably. 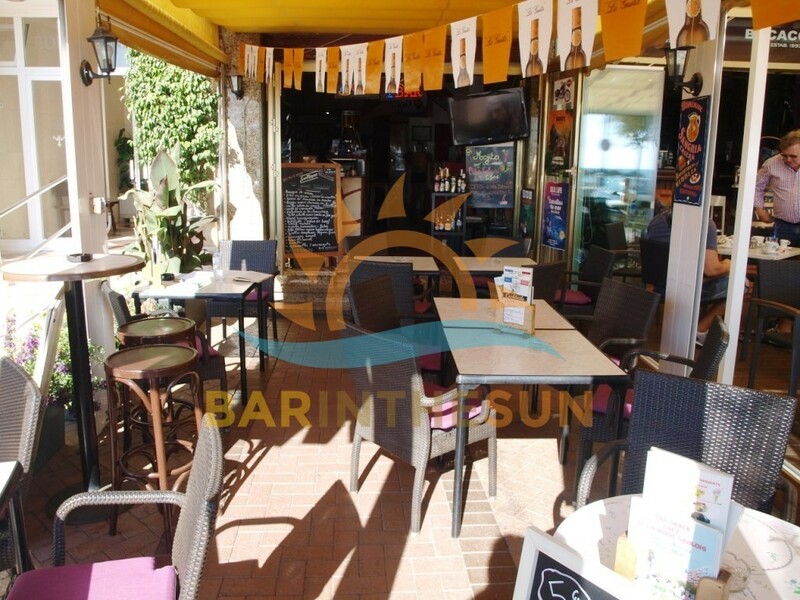 As one can imagine this sea front terrace area enjoys a steady flow of passing footfall from early in the morning until late in the evening and is valuable asset of the business.